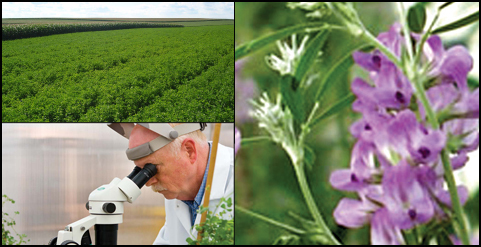 The North American Alfalfa Improvement Conference is a community of public- and private-sector scientists and educators that promotes the exchange of information among researchers involved in alfalfa improvement and utilization in North America and around the world. To be the leading research voice for alfalfa improvement and production. To promote the development of improved alfalfa cultivars and management practices through education, communication, and professional development of research scientists, educators, and commercial representatives in North America and around the world.